If you are In Fort Lauderdale and would like to take a tour of our facilities, please stop by! Property tours are from 9 am until 7 pm, seven days a week. 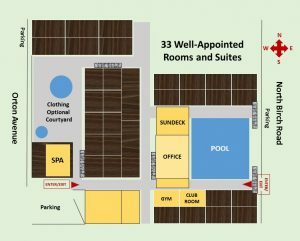 If you are not in our area, view our property map and take a virtual tour on Google. 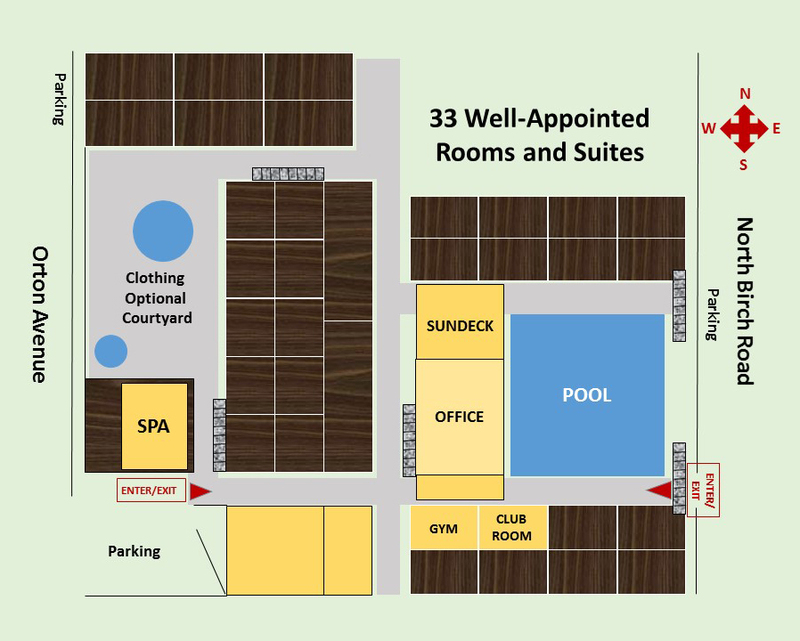 Experience the pleasure of our 5 building campus with 33 well-appointed rooms and suites rooms, The Spa, The Club Room, Gym, The clothing optional courtyard with jacuzzi.